No major U.S. holiday could possibly pass by without video games celebrating it in their own way. Overwatch has tossed their Santa hat into the ring with the "Winter Wonderland" event that lasts until January 2. During this event, there's a new PvP brawl to check out (Mei's Snowball Offensive) and new Winter Wonderland loot boxes containing a slew of winter-themed goodies. 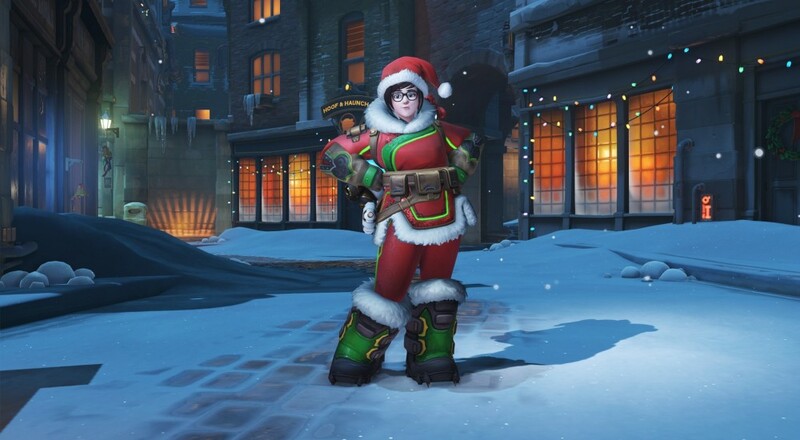 There are new skins for all the characters, like Tracer dressed up like an elf or McCree looking like some kind of Ebenzer Scrooge, as well as new emotes and new character intros to enjoy, like Widowmaker holding up some mistletoe then stomping the camera into the ground. Finally, King's Row and Hanamura have been decked out with some snow and holiday decorations, so you can enjoy that as well. No new co-op mode like there was with the Halloween event, but it's still possible to play matches against bots with your buddies and earn XP/loot boxes that way.